Sci-Fi Illustrator John Schoenherr R.I.P. Just like all of your toys..."
Every good story needs a villain. For most fans the villain of The Monkees story has always been music supervisor Don Kirshner. He is the man who forbade The Monkees from playing their instruments on their own records. He is the man who only allowed songwriter Michael Nesmith a meagre two songs per album. He is the man who even released an album with no input from the group whatsoever. Perhaps worst of all, many still perceive that Kirshner took credit for the group's success, as if Bob Rafelson, Bert Schneider, Tommy Boyce, Bobby Hart, and The Monkees themselves had no role in that success at all. Don Kirshner's initial involvement with the television series and the recording act known as The Monkees, his early success with the band, and his fall from grace within Screen Gems, are now the stuff of legend, so much so that over the years the story has changed and been elaborated upon. As a result a number of misconceptions have arisen regarding The Monkees and Don Kirshner's part in their career. In fact, many of these misconceptions have been printed as the truth over the years, even in the mainstream press. Sadly, it often takes a very dogged Monkees fan a good deal of investigation to arrive at what was the actual truth behind the strange tale of made for TV rock band The Monkees and music impresario Don Kirshner. In both books and the press it has often been stated that Don Kirshner created The Monkees. This could well be the grossest misconception about both the TV series and the rock group to have developed over the years. In truth, The Monkees began in the mind of one man, future motion picture director Bob Rafelson. Based in part on his own experiences as a young man, in the early Sixties Rafelson conceived a TV series about a group of itinerant musicians (initially a folk group) who took more interest in having fun than seriously pursuing a career. At the time, however, no one expressed interest in Rafelson's idea for a television show about rambunctious musicians. Fortunately for Rafelson, a whole new music phenomenon arrived in the United States in 1964: The Beatles. Not only did The Beatles produce an unprecedented number of hit singles and albums, but they also starred in a highly successful motion picture, A Hard Day's Night. Rafelson's idea for a TV show about an itinerant folk group then became a TV show about an itinerant rock band. In other words, the idea that had been germinating in Bob Rafelson's mind for years became The Monkees. Bob Rafelson was not even a television writer when Don Kirshner tasted his first success in the music business. It was in 1955 that Don Kirshner formed a song writing partnership with up and coming singer Bobby Darin. While Bobby Darin would go onto phenomenal success as a performer, his partnership with Kirshner would produce very little in the way of hit songs. To make money Darin and Kirshner wound up writing jingles for commercials. Ultimately Kirshner would not find fame as a songwriter, but instead in the world of music publishing. It was in 1958 that Don Kirshner met successful composer and musician Al Nevins. Together the two formed Aldon Music, which became one of the major publishing houses in the legendary Brill Building. Aldon Music would achieve a good deal of success through its stable of songwriters, which included Neil Sedaka, and Howard Greenfield, Barry Mann and Cynthia Weil, and Gerry Goffin and Carole King. It was on April 12, 1963 that Don Kirshner sold Aldon Music, lock , stock, and barrel, to Columbia Pictures for two million dollars worth of Columbia stock. The company was renamed Screen Gems-Columbia Music Inc., and Don Kirshner became president of Columbia's music division (including not only music publishing, but Colpix Records as well). Among the songwriters signed to Screen Gems-Columbia Music were up and coming composers Tommy Boyce and Bobby Hart. In 1964 Tommy Boyce, Bobby Hart, and Wes Farrell co-wrote "Come a Little Bit Closer" for Jay and the Americans. The song would go all the way to #3 on the Billboard Hot 100 chart. Following that success, Tommy Boyce was invited to sign with Screen Gems-Columbia Music. Due to a prior commitment in Las Vegas as a back up singer with Teddy Randazzo, Tommy Boyce's occasional partner Bobby Hart was not able to sign with Screen Gems-Columbia Music until April 1965. It was at Screen Gems-Columbia Music that the Boyce and Hart partnership was cemented. Among their first jobs as a team was to compose the theme for the soap opera Days of Our Lives. The up and coming songwriters developed a reputation for being able to work swiftly and efficiently. It was in 1965 that Bob Rafelson teamed with Bert Schneider (son of Columbia Pictures president Abraham Schneider) to form Raybert Productions. 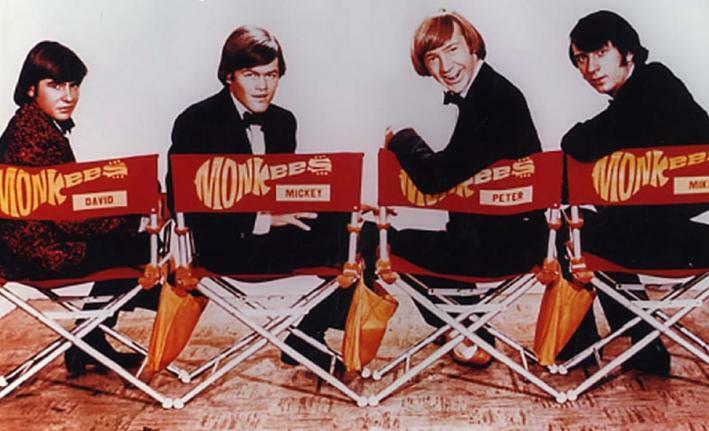 The goal of Raybert Productions was to produce feature films, but the company's first project would be the TV series The Monkees. The production of the series necessitated Rafelson and Schneider find both a rock group to star in the series and songs for them to perform. Produced under the umbrella of Columbia's television arm, Screen Gems, the two producers did not have far to go for songs. Lester Sill, then consultant to Don Kirshner, told Tommy Boyce and Bobby Hart to meet with producer Bert Schneider about songs for a prospective television series. Schneider described the series to Boyce and Hart as an "American Beatles on television." As a result, Boyce and Hart determined The Monkees' sound should be like The Beatles, but not a direct rip off, blended with the more recent sound of such bands as The Kinks and The Who. In other words, for The Monkees, Boyce and Hart set about creating some of the earliest American power pop. For the series' pilot Boyce and Hart provided three songs: "I Wanna Be Free (a song they had already written), "(Theme From) The Monkees," and "Let's Dance On." While Boyce and Hart set about shaping The Monkees' sound, Rafelson and Schneider set about casting the series. Initially they considered casting an existing rock group, namely The Lovin' Spoonful, but that idea soon fell by the wayside. Rafelson and Schneider then elected to create their own band for the series, running the now famous ad in Daily Variety on September 9, 1965 asking for "Folk and Rock Musicians-Singers for Acting Roles in a New TV Series." 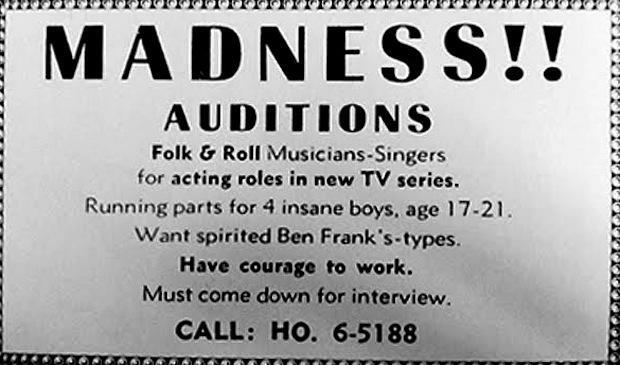 Over 437 young men would ultimately audition for the roles, among them Danny Hutton (later of Three Dog Night), Paul Petersen (of The Donna Reed Show), Stephen Stills, and Paul Williams (contrary to a popular urban legend, Charles Manson did not audition for The Monkees--he was in prison at the time). Ultimately it would be Micky Dolenz (son of actor George Dolenz and former child star of the series Circus Boy), Davy Jones (a star of British television and the stage who was already signed to Colpix), Mike Nesmith (a musician and songwriter already signed to Colpix as well), and Peter Tork (born Peter Thorkelson, he was a friend of Stephen Stills and knew how to play several different instruments) who would become The Monkees. It was in November 1965 that the pilot for The Monkeeswas shot. 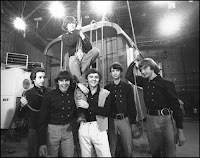 Although Tommy Boyce and Bobby Hart had already recorded the theme song, two versions of "I Wanna Be Free (an up tempo version and the better known ballad version)," and "Let's Dance On," there was no time to re-record the songs with The Monkees' voices. As a result, in the original pilot, it is the voices of Boyce and Hart that one hears on the songs. It was in January 1966 that a test screening was held for the pilot. Unfortunately, it scored disastrously (The Monkees was not the only classic show to have a disastrous test screen--Batman and The Mary Tyler Moore Show did as well). Bob Rafelson then went into the editing room for two days, during which he inserted The Monkees' screen tests into the pilot. When the pilot was tested again, it scored considerably better. It was in February 1966 that NBC picked up The Monkees for a season of 32 episodes. Because the series was about a struggling rock band, The Monkees took a bit more preparation than other sitcoms at that or any time. Namely, The Monkees had to coalesce as the band that they were going to be on screen. From February to April, the group then would rehearse playing together. In April The Monkees auditioned for Capitol, Columbia, and RCA. Capitol was so impressed that they would have signed the band even without the television series. In the end, however, RCA was picked as it was the parent company of NBC. It was this decision that would pave the way for the new Colgems label, on which The Monkees' records were released. It would also be in April that The Monkees would begin recording for the first time. Not only did The Monkees actually play their own instruments on these sessions, but among the songs recorded were ones written by Michael Nesmith. Indeed, among the songs known to be recorded was "The Girl I Knew Somewhere." Unfortunately, once Don Kirshner became music supervisor, The Monkees were no longer allowed to play their own instruments on their records. It is perhaps for this reason that the tapes from this sessions have never surfaced. Of course, The Monkees also recorded with Tommy Boyce and Bobby Hart as producers. The first song Boyce and Hart recorded was "(The Theme From) The Monkees.." Initially Boyce and Hart tried recording with all four Monkees in the studio at once. Unfortunately, the four young men would spend more time trying to crack each other up than actually recording the song. Afterwards, Boyce and Hart would record with only one Monkee at a time. It would also be around this time that Bob Rafelson and Bert Schneider would call on Don Kirshner for help in providing songs for the series. With only a matter of months before the series debuted, and two to three songs often featured in each episode, the producers needed a good number of songs in a very short period of time. In some respects, Don Kirshner was the ideal man to whom to turn when it came to songs. He had access to such songwriters as Gerry Goffin and Carole King, Barry Mann and Cynthia Weil, and Neil Sedaka and Howard Greenfield. He also had a number of connections within the industry with music producers and musicians themselves. Although well suited to the task at hand, Kirshner's services would not come cheaply. He asked for one third of all the profits from The Monkees' recordings, a request which Screen Gems granted. He would also take the first steps toward his final confrontation with The Monkees. Kirshner allowed The Monkees no real selection in the songs they would perform, much less which songs were released a singles. He also kept the number of The Monkees' own compositions on their albums to an absolute minimum. On their first two albums songwriter Michael Nesmith only had two songs apiece. What may have been the coup de grace he dealt himself was the decision that under no circumstances would The Monkees be allowed to play their own instruments on their records. Of course, while Don Kirshner officially became the music supervisor of The Monkees, other events were unfolding at a corporate level. Columbia's old recording label, Colpix, had been stagnant for years. Its place would be taken by a new label. It was in June 1966 that RCA Victor and Columbia Pictures/Screen Gems formed Colgems. Columbia/Screen Gems would develop product for the new label, while RCA Victor would manufacture and distribute it. As creative director of the new label, Don Kirshner was appointed. Colgems' first recording artists would be The Monkees. It was by mid-1966, then, that Don Kirshner not only became music supervisor of The Monkees, but the de facto head of Columbia Pictures' music arm. Among his first tasks was to find someone to produce The Monkees' songs. Although Tommy Boycce and Bobby Hart had shaped The Monkees' sound by writing and producing songs for the pilot, he dismissed them out of hand as not having enough experience in music production. Instead, Kirshner sought out Snuff Garrett, who had produced both Bobby Vee and Gary Lewis and the Playboys. 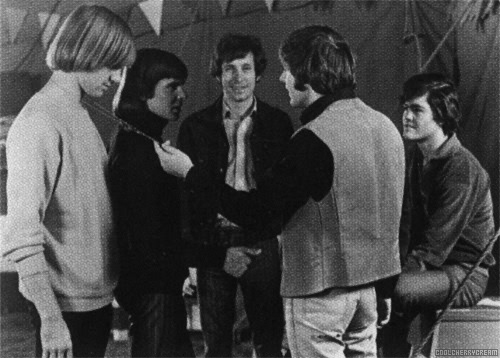 Garrett and The Monkees would clash in the studio however, particularly after he decided Davy Jones should sing lead vocals on both "Take a Giant Step" and "Let's Dance On." The June 10, 1966 recording session with Garret was so disastrous that he was dismissed as producer. With Snuff Garrett out of the picture, Don Kirshner then looked across the Pond to Mickie Most as a possible music producer for The Monkees. Most had a good deal of success producing both The Animals and Herman's Hermits. Unfortunately for Kirshner, Most turned him down. Don Kirshner then turned to two of his own songwriters, the legendary Gerry Goffin and Carole King. Their session with The Monkees proved as disastrous as that of Snuff Garrett. The two in particular clashed with Mike Nesmith, to the point that Carole King left the studio in tears. The three would eventually make up, co-writing the song "Sweet Young Thing," which appeared on the first album. Amazingly enough, Don Kirsner would allow Michael Nesmith to produce his own songs, provided neither he nor any other Monkee played on them. As it turned out, Michael Nesmith eventually did allow Peter Tork to play acoustic guitar on "Papa Gene's Blues," which appeared on the first album. Ironically, Michael Nesmith did not play any of the instruments on his own songs at these sessions. During this time Tommy Boyce and Bobby Hart had not given up hope on becoming The Monkees' producers. Boyce and Hart contacted Don Kirshner and asked to audition as producers of The Monkees. Without anyone to produce The Monkees' music, Don Kirshner accepted the offer. The so-called "Man With the Golden Ear" was then given a performance by Boyce and Hart and Hart's band The Candy Store Prophets of nearly every song they had written for The Monkees as they would appear on an album. Fortunately for Boyce and Hart, Kirshner was impressed. They won the right to produce The Monkees, although initially Kirshner insisted on Jack Keller (who wrote, among other things, the theme to Bewitched) be present at their sessions. Over the next several months Boyce and Hart would hold several recording sessions with The Monkees. Among the tracks produced were such classics as "Last Train to Clarksville," "(The Theme from) The Monkees," "(I'm Not Your) Steppin' Stone (originally written for Paul Revere and the Raiders)," and "She." In fact, on The Monkees' self titled debut album only two songs were not produced by Boyce and Hart--the Michael Nesmith compositions "Papa Gene's Blues" and "Sweet Young Thing (produced by Nesmith himself). Having established the sound of The Monkees and producing nearly their entire first album, it must have seemed to Boyce and Hart that they would remain the band's producers. Unfortunately, they would not remain The Monkees' only producers for long. Throughout the summer of 1966 Tommy Boyce and Bobby Hart would produce many of the songs that would become among the most recognised of The Monkees' oeuvre. With an eye on The Beatles, Boyce and Hart recognised that The Beatles often included novelty songs (usually sung by Ringo Starr) on their albums. It is for this reason that The Monkees recorded "Gonna By Me a Dog," a song written by Boyce and Hart prior to the conception of The Monkees and even performed by then Colpix artist Davy Jones on an episode of The Farmer's Daughter. Among the novelty numbers Boyce and Hart produced were their own song "Ladies Aid Society" and the Lynn Castle and Wayne Erwin composed "Teeny Tiny Gnome." Don Kirshner determined neither song was suitable. It is possible that these were among the songs which led television producer Bert Schneider to believe that many of the songs Boyce and Hart were not commercial enough. At the same time, Don Kirshner preferred to work with East Coast music producers and to keep music production closer to his home in New York City. It is perhaps because of Schneider's view that much of what Boyce and Hart recorded was not commercially viable and Don Kirshner's desire to keep music production closer to New York that the so-called "Man with the Golden Ear" brought in Jeff Barry as a producer. A songwriter himself, Jeff Barry had written or co-written such songs as The Ronette's "Be My Baby" and Darlene Love's "Christmas (Baby, Please Come Home)." Here it must be pointed out that Don Kirshner did not fire Boyce and Hart, and he particularly did not fire them for allegedly using recording time allotted to The Monkees for their own solo project. Even as Don Kirshner enlisted Jeff Barry and later such producers as Gerry Goffin and Carole King as well as Neil Sedaka and Carole Bayer Sager, Boyce and Hart continued to produce their own Monkees material. Quite simply, Boyce and Hart were not fired, they simply no longer had a monopoly as The Monkees' producers. As to using The Monkees' recording time for their own solo project, it must be pointed out that Boyce and Hart the songwriters and music producers did not become Boyce and Hart the rock performers until after the end of The Monkees' first tour. It was at The Monkees' last gig of their American tour at the Cow Palace in San Francisco on January 22, 1967 that Tommy Boyce and Bobby Hart decided to make the leap from composers to performers. By that time The Monkees had found their own producer in Chip Douglas (more on that later) and Don Kirshner's days were numbered. Regardless, Don Kirshner's choice to move much of the music production to New York not only took away Boyce and Hart's monopoly on The Monkees, but it also further removed The Monkees from the recording process. While The Monkees were busy shooting the series on the West Coast and later touring the United States, Kirshner's producers were busy recoding music with session musicians, to which The Monkees would merely add their own vocals. Michael Nesmith and Peter Tork, the two serious musicians of the group, had never been happy about not being allowed to play on their own records. Nor were The Monkees necessarily happy with the songs Don Kirshner selected for them. Worse yet, there were rumours that The Monkees did not play their own instruments. While these rumours had not surfaced in the mainstream press, they were current as early as October 1966 (as evidenced by articles in Crawdaddy magazine). Between further isolating The Monkees from the recording of the instrumental tracks to their songs and rumours regarding The Monkees' skill as musicians, Kirshner had merely added more fuel to a fire that would soon burn out of control. The inevitable showdown between The Monkees and Don Kirshner would be delayed by The Monkees' first United States tour. Raybert Productions and Screen Gems had planned, almost from the beginning that The Monkees would tour as a means of promoting both the television series and the the records (this was reportedly over Don Kirshner's objections). It was then on December 3, 1966 in Honolulu, Hawaii that The Monkees began a tour of the United States. The Monkees visited fourteen different cities across America. As proof that The Monkees could play their own instruments, The Monkees provided their own accompaniment, except on their solo sets (in which case accompaniment was provided by the Candy Store Prophets, who also opened for the group). Footage from the show in Phoenix, Arizona would be used in the final episode of the first season, "The Monkees on Tour." It was while The Monkees were on tour that Don Kirshner made what may have been one of the biggest errors of his career. 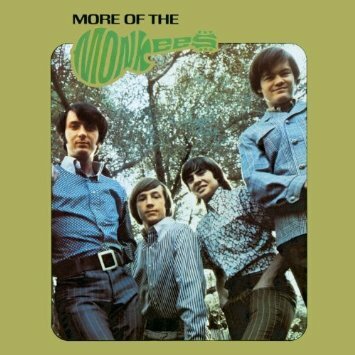 With neither The Monkees' consent nor their knowledge, he released a second album (entitled More of the Monkees) to capitalise on growing Monkeemania. 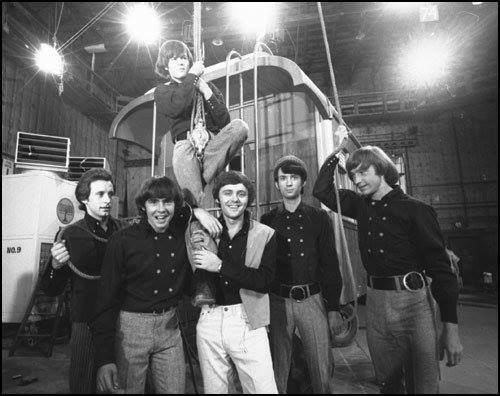 While the first album was composed almost entirely of material produced by Tommy Boyce and Bobby Hart (except for the two songs produced by Michael Nesmith), the songs on More of The Monkees were produced by nine different producers from the various recording sessions Kirshner had held in the past months. And while the first album featured six songs composed by Boyce and Hart, the second album only featured two. The cover featured a photo stitched together from two different shots, with The Monkees in J. C. Penney clothes as part of a promotion for that chain of stores. The liner notes on the back were composed by Don Krishner himself. More of The Monkees was released on January 10, 1967. The Monkees did not even learn of the new album until, while on tour, they were browsing in a record store, only to find a Monkees album none of them had ever seen or heard. Michael Nesmith and Peter Tork in particular were displeased that an entire album had been released without their knowledge or consent, and both were unhappy with the songs that had been selected for More of The Monkees. Michael Nesmith even went so far as to refer to the album as "the worst album in the history of the world." The Monkees were further enraged by the liner notes on the back of the album, in which Don Kirshner name drops the various songwriters who had composed songs for More of The Monkees, and only mentions The Monkees as an afterthought. Even the cover photo angered The Monkees. Composed in a fashion which aped the cover of The Beatles' Rubber Soul, it featured the four young men in the J. C. Penney clothes which they had hated wearing. Delayed by the tour, the showdown with "the Man with the Golden Ear" was inevitable. Of course, Michael Nesmith had grossly exaggerated when he called More of The Monkees "the worst album in the history of the world." The album actually did include some of the high points of the band's career. Among these were "She," in my humble opinion the best song The Monkees ever performed and the best song Boyce and Hart ever wrote. It has been covered at least three times (by The Dickies, The Colourfield, and Love Candy). It also included The Monkees' version of "(I'm Not Your) Steppin' Stone," which would go onto become a garage band standard. "I'm a Believer" was not only the biggest selling Monkees single of all time, but possibly the best song ever written by Neil Diamond and certainly the best performance of a Diamond song short of Deep Purple's version of "Kentucky Woman." The album also included two of Mike Nesmith's best tracks, "Mary, Mary" and "The Kind of Girl I Could Love" That having been said, there was no escaping the fact that More of The Monkees was essentially a quickie album created merely to cash in on Monkeemania. While the album included some of the best Monkees songs ever recorded, it also included some of their worst. More of The Monkees featured what may have been the most forgettable Gerry Goffin and Carole King song of all time, "Sometime in the Morning." "The Day We Fall in Love," written by Sandy Linzer and Denny Randell, was a ballad in the fashion of "I Wanna Be Free," but with none of that song's appeal. "Hold On Girl" was very nearly bubblegum. What may have been the worst song on the album was "Laugh," credited to four different songwriters. In many ways More of The Monkees is the exact opposite of the first album. While the first album had a fairly consistent sound, that of early American power pop, More of The Monkees is fragmented between the varied styles of the many producers on the album. Ultimately the only songs on which The Monkees sound created by Boyce and Hart was in evidence were "She," "Mary, Mary," "Your Auntie Grizelda," "(I'm Not Your) Steppin' Stone," "The Kind of Girl I Could Love," and "I'm a Believer." It was the second album that led The Monkees to rebel against Don Kirshner. Determined to make their own music, The Monkees even recruited their own producer. While Peter Tork had thought that his friend Stephen Stills could fill the role, it was ultimately Chip Douglas who would get the job. Chip Douglas had been a member of the Modern Folk Quartet and later a bassist for The Turtles. It was while The Turtles were performing at the Whisky a Go Go that Mike Nesmith asked Douglas if he would like to produce records for The Monkees. Douglas pointed out that he had never produced a record in his life. Nesmith told Douglas that he would teach him how to be a producer. Douglas then accepted Nesmith's offer and Chip Douglas became The Monkees' newest producer. In response to the release of More of The Monkees, Michael Nesmith would call his own press conference. He would call several magazines and newspapers, although in the end only Time and Look attended the conference. As it turned out, those two magazines were enough to ignite what may have been the biggest controversy in the history of The Monkees. At the conference Nesmith complained, "We're being passed off as something we're not. We all play instruments but we haven't on any of our records. Furthermore, our company doesn't want us to and won't let us." The rumour that The Monkees did not play their own instruments on their records had existed very nearly since the show had debuted, but following Mike Nesmith's press conference it swiftly became a source of controversy in mainstream magazines and newspapers. Accusations that The Monkees were not a "real band" began to appear with increasing frequency. For the most part, the venom that many in the press directed towards The Monkees was very much uncalled for. The use of session musicians to play on record for rock bands was a well established practice by 1966. Session musicians had played the instruments on many of The Beach Boys' early records, while on The Byrds' first album, Mr. Tambourine Man, session musicians provided all of the accompaniment except for some guitar work by Roger McGuinn. Regardless, the fact that The Monkees had not played their instruments was used as a means to attack them in the press, perhaps because having been formed for a TV series they were obviously a manufactured group. With The Monkees (particularly Mike and Peter) furious over the release of More of The Monkees, the stage was now set for the showdown with Don Kirshner. It would take place in late January when the group was invited to Don Kirshner's suite at the Beverly Hills Hotel to accept their gold records and royalty cheques. The four Monkees were accompanied by their new producer, Chip Douglas. Don Kirshner was accompanied by attorney Herb Moelis. Once the press had left, Kirshner presented The Monkees with acetates of four songs to which they would only have to add their voices. This was too much for Michael Nesmith, already unhappy with being unable to play guitar on even the songs he had written himself and angry at the release of More of The Monkees. Mike informed Kirshner that he was tired of having his name attached to work that others had done. He also threatened to quit if The Monkees were not allowed more control over their music. It was then that Herb Moelis told Michael Nesmith that he had better read his contract. This simply angered the already angry Mike Nesmith even more. He rammed his fist into the hotel's room wall and then said, "That could have been your face....!" Mike then stormed out of the room. The confrontation between Mike Nesmith, Don Kirshner, and Herb Moelis has since become legendary. In fact, it has even been said by those involved that one of the songs on the acetates Kirshner offered The Monkees was none other than "Sugar, Sugar," written by Jeff Barry and Andy Kim. Kirshner perhaps told the story as an example of typical Monkee business, the "foolish" boys refusing to record a song that would later be number one on the Billboard Hot 100 for four weeks in a row. Others have perhaps told the story as an example that Don Kirshner would have had The Monkees perform a song that was pure bubblegum. In truth, it would seem that "Sugar, Sugar" was not among the songs which Don Kirshner offered to The Monkees that night. Andy Kim has stated that "Sugar, Sugar" was never offered to the Monkees and was in fact written expressly for The Archies nearly two years later. Andrew Sandoval of Rhino Records, an expert on The Monkees, has theorised that instead The Monkees were offered a song entitled "Sugar Man," written by Sandy Linzer and Denny Randell (who also wrote The Monkees' "The Day We Fall in Love"). In fact, it was on January 22, 1967 that Don Kirshner held a recording session, produced by Denny Randell, during which instrumental tracks for the songs "I Wanna Be Your Puppy Dog," "Love is On the Way," "I Didn't Know You Had It in You, Sally," and "Sugar Man," all by Linzer and Randell, were all recorded. While never released by The Monkees, "Sugar Man" would later be recorded by bubblegum artist Keith (who had a hit with the song "98.6") and released both as a single and a track on his album Out of Crank in 1968. It would be due to the similarity of the two songs' titles that over time even those present at the confrontation between The Monkees and Don Kirshner would mistakenly remember "Sugar, Sugar" as the song which The Monkees refused to perform. Regardless, it must be pointed out that "Sugar Man" was nearly as much bubblegum as "Sugar, Sugar," as were the other tracks produced by Denny Randell on January 22, 1967. Faced with the prospect of Michael Nesmith quitting both the television series and the group, Bert Schneider ultimately chose to give The Monkees more control over their music. The Monkees would finally be allowed to play their own instruments on their records. While Don Kirshner would still choose the A-side of their singles, the B-side of their singles would have to be a song of The Monkees' choice that they had recorded themselves. It would be this agreement that would lead to "the Man with the Golden Ear's" downfall. Indeed, The Monkees would still come to heads with Don Kirshner over what should be released as their third single. It was on January 16, 1967 that The Monkees gathered, with Chip Douglas as producer, to record what they intended to be the A-side and the B-side of their next single. The song intended as the A-side was "All of Your Toys," a song written by Mike Nesmith's friend Bill Martin. Sadly, the song would not become the A-side of The Monkees' next song due to a simple technicality. A rule existed that The Monkees could only record songs published by Screen Gems-Columbia Music, Inc. All of Your Toys" had been published by Tickson Music. Screen Gems did offer to buy "All of Your Toys" from Tickson, but they refused to sell. As a result "All of Your Toys" would not see the light of day until it was released on Rhino Records' Missing Links compilation in 1987. As to the B-side of single, that was Michael Nesmith's song "The Girl I Knew Somewhere," which was re-recorded at this time. While "All of Your Toys" would not be released as The Monkees' third single, it would be historic as the first song in an official Monkees recording session on which The Monkees themselves played their own instruments. While The Monkees wanted "All of Your Toys" as their next single, Don Kirshner had other ideas. Eager to repeat the success of Neil Diamond's "I'm a Believer," he decided the A-side of The Monkees' third single would be another Neil Diamond composition, "A Little Bit Me, A Little Bit You." In defiance of the agreement struck between Colgems and The Monkees, he also had a song in mind for the B-side of the next single, "She Hangs Out" by Jeff Barry and Ellie Greenwhich. It was on January 21, 1967, the same date that The Monkes performed in Phoenix, that "A Little Bit Me, A Little Bit You" and "She Hangs Out" were recorded in a session produced by Jeff Barry. 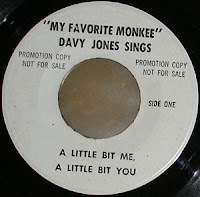 It was on February 4, 1967 that Davy Jones recorded the vocals for the two songs in the New York studio, with no other Monkees present. Don Kirshner would then make the crucial mistake that would cost him his position as The Monkees' music supervisor. He authorised the pressing and distribution of the single with "A Little Bit Me, A Little Bit You" as the A-side and "She Hangs Out" as the B-side, complete with a picture sleeve. Worse yet, he even had a number of promotional copies created with the label "My Favourite Monkee-Davy Jones Sings." All of this was in clear violation of the new rule which gave The Monkees more control over their music. 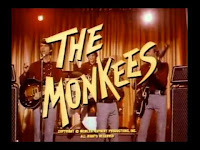 Reportedly, Don Kirshner's reasoning was that in creating a third Monkee hit in a row, his power as the group's musical supervisor would be cemented. Unfortunately, "The Man with The Golden Ear's" scheme would ultimately backfire upon him. It was not long before copies of "A Little Bit Me, A Little Bit You"/"She Hangs Out" began to appear in Canada. The two songs also began to receive airplay on radio stations in both the United States and Canada. Not only were The Monkees and Raybert Productions angered by Don Kirshner's actions, but so too was Columbia Pictures. Indeed, not only would Don Kirshner be dismissed as The Monkees' music supervisor, but on February 27, 1967 he would be fired as president of Columbia-Screen Gems Music and Colgems Records. The single was swiftly withdrawn in Canada and cancelled entirely in the United States. Because it was already publicised that "A Little Bit Me, A Little Bit You" would be the next single released by The Monkees, it was kept as the A-side of the official third single from the group; however, the B-side would be "The Girl I Knew Somewhere" by Mike Nesmith, the song The Monkees had chosen for the B-side to begin with. Don Kirshner would not take his termination from Columbia Pictures lying down. Kirshner filed a $35 million breach of contract suit against Columbia Pictures-Screen Gems. In the suit Kirshner alleged that Abe Schneider, president of Columbia Pictures Inc., Bert Schneider, and Jerry Hyams, executive vice president of Screen Gems, conspired to "interfere with and terminate his contractual rights, to 'diminish' his reputation, and to obtain for Bert Schneider 'a greater share of royalties' from The Monkees' recordings." In response Columbia Pictures stated that Kirshner's suit was wholly without merit and the personal charges he made against Abraham Schneider, Bert Schneider, and Jerry Hyams were groundless. They also stated that they were well within their legal rights to fire Kirshner. Included as part of Screen Gems' response to Don Kirshner were accusations that would make him sound all the more sinister than any Monkees fan had ever feared. According to Crawdaddy, in response to Kirshner's lawsuit, Screen Gems alleged that the night before The Monkees was set to premiere on NBC, Kirshner threatened to withhold the master tapes of the songs unless Raybert Productions surrendered their share of the music publishing royalties from The Monkees songs to him. Screen Gems also alleged that Don Kirshner had attempted to release a single featuring only the vocals of The Monkees, with accompaniment provided by other musicians, in violation of the agreement with The Monkees (this was a reference to the single "A Little Bit Me, A Little Bit You"/"She Hangs Out"). Screen Gems also alleged that Kirshner secretly recorded conversations between himself and officers of Colgems, Screen Gems, RCA, and so on. Despite the accusations made towards each other by both Don Kirshner and Columbia Pictures-Screen Gems, the suit itself would be settled quietly out of court after a few months. Reportedly, it was the largest out of court settlement made in the history of Columbia Pictures. With Don Kirshner no longer their music supervisor (indeed, he was no longer even a part of Columbia Pictures), The Monkees now had total control over their music. 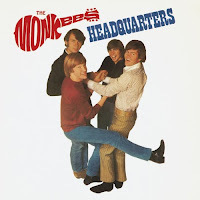 On February 23, 1967, The Monkees held their first recording session for their third album, Headquarters. It would be the first album on which they played their own instruments and the first on which they selected the songs. Recording on Headquarters would continue until April 18, 1967, at which time it was completed. Headquarters was released on May 22, 1967. The album hit #1 on the Billboard albums chart, a position it maintained for only one week before slipping to #2 (it seems the following week an album entitled Sgt. Pepper's Lonely Hearts Club Band had been released). Headquarters remained at #2 for eleven consecutive weeks. The first A-side of a single on which The Monkees played their own accompaniment, "Pleasant Valley Sunday (written by Gerry Goffin and Carole King)" would be released on July 3, 1967, would perform equally well. It peaked at #3 on the Billboard Hot 100, while its B-Side, "Words," peaked at #11. Not only had The Monkees proven that they could play their own instruments on their own records, they had proven they could produce hits without Don Kirshner. In many ways it is difficult to access the position of Don Kirshner in the history of The Monkees. More often than not Monkees fans treat him as if he was the villain of a silent movie serial. It would seem that the truth is a bit more complex than this overly simplistic characterisation. There can be no doubt that Kirshner gave The Monkees no real input in the music they recorded and that he did not allow them to play their instruments on their own records. It is also indisputable that he authorised the release of a single in clear violation of the agreement Colgems had made with The Monkees. It is possible that Kirshner was even guilty of some of the more nefarious things ascribed to him, such as withholding the master tapes from Raybert Productions in a bid for the greater share of royalties. That having been said, it must be admitted that Don Kirshner was of some benefit to The Monkees. The fact is that Don Kirshner came into the multimedia project that was The Monkees at the request of Bob Rafelson and Bert Schneider. In desperate need of songs to feature each week on the TV seires, they turned to the one man who would be best able to find them. And it cannot be argued that Don Kirshner did not deliver the goods in his role as The Monkees' music supervisor. The Monkees' first two singles, "Last Train to Clarksville" and "I'm a Believer," both went to #1 on the Billboard Hot 100. Their first two albums (including More of The Monkees, the album Mike Nesmith called "the worst... in the history of the world") also went to #1 on the Billboard albums chart. While there can be no doubt that much of this was due to the exposure The Monkees' songs received on the TV show, one cannot entirely dismiss the knack Don Kirshner had for choosing hit records. Indeed, it must be pointed out that it was through Don Kirshner that The Monkees would have access to some of the greatest songwriters of all time. While Tommy Boyce and Bobby Hart were a part of The Monkees project before Don Kirshner became music supervisor, it was because of Kirshner that The Monkees would also perform songs written by Gerry Goffin and Carole King, Jeff Barry, Barry Mann and Cynthia Weil, and Neil Diamond. Even after Columbia Pictures fired Don Kirshner, The Monkees would continue to utilise the talents of Gerry Goffin and Carole King, who would write six more songs for The Monkees, including the hit "Pleasant Valley Sunday" and "Porpoise Song," the theme to their movie Head. Barry Mann and Cynthia Weil, Jeff Barry, and Carole Bayer would all contribute songs to The Monkees after Don Kirshner was long gone. While Don Kirshner gave The Monkees hits and access to some of the greatest songwriters of all time, it must also be kept in mind that he was largely a product of another time. 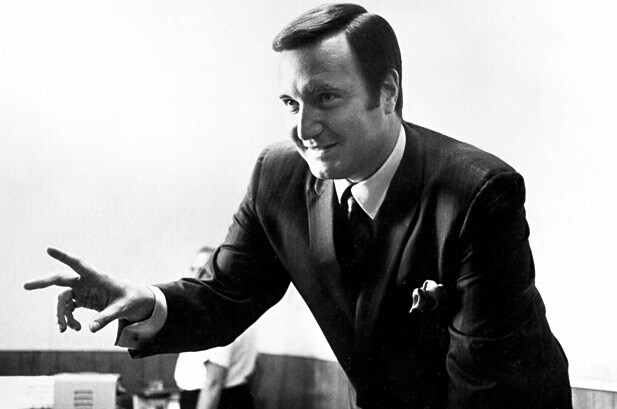 Don Kirshner rose to power in the music business during the era of the Brill Building Sound. It was an era when more often than not artists did not write the songs they sang, when singles were often selected either by a producer or recording industry executives, and session musicians were regularly employed. In working with The Monkees, then, Don Kirshner was operating no differently from many producers and recording industry executives before him. It seems likely that Kirshner believed he had the right to use session musicians to play on The Monkees' records, to forbid The Monkees from playing on their own records, and to select the songs they would sing. Unfortunately for Don Kirshner, the era of the Brill Building Sound had ended in 1964 with the arrival of The Beatles on American shores. In the wake of The Beatles, not only were artists expected to play their own musical instruments on their records, but to write their own songs as well. While it seems fairly certain that Don Kirshner had some benefit upon The Monkees' career, it also seems clear that he was in some ways a detriment to it as well. In forbidding The Monkees from playing their own accompaniment, Kirshner would ultimately damage the credibility of The Monkees. Even after The Monkees had performed on tour, even after they had recorded several albums on which they played their own songs, there are many to this day who are convinced that The Monkees could not even play their own instruments. If Don Kirshner had allowed The Monkees to play their own instruments on their records, the idea that they could not play their instruments may never have arisen. Even when it came to producing hits for The Monkees, it seems in some respects Don Kirshner may have hindered The Monkees' career. For the period of a year, from August 1966 to August 1967 (during part of which Kirshner was admittedly no longer part of The Monkees project) The Monkees only released four singles. In some respects this was not unusual in the Sixties. In the year 1966 The Turtles only released five singles, as did Paul Revere and The Raiders. Despite this, it was possible for an extremely successful rock band, which The Monkees were, to release many more. At the height of Beatlemania in 1964, The Beatles released over ten singles alone in the United States. With Monkeemania in late 1966 and early 1967 approaching the proportions of the Beatles hysteria in 1964, it seems possible that the band could have had many more hit singles than they actually did. Indeed, there seemed to be a demand for them going by the airplay The Monkees' album tracks received in late 1966 and early 1967. Reportedly, "She (released only as an album track on the second album)" was requested by callers to radio stations as often as if it was a single. The original version of the song "Valleri" was never released as a single or even appeared on an album in the Sixties, yet it became something of a hit. Deejays in both Chicago and Florida had recorded the song from an episode of the television series and started playing it on the radio. Demand for the song was great enough that The Monkees would eventually re-record it and release it as a single on February 17, 1968. That The Monkees could have had many more hit singles in the United States than they did may be borne out by the performance of Monkees singles in Australia. In Australia more Monkees singles were released, songs that were only album tracks in the United States, and most of them performed remarkably well. In 1967, six different Monkees singles were released in Australia. Among them were "(The Theme From) The Monkees (which went to #8 on the Australian singles chart)" and "Randy Scouse Git (which went to #9)." When "She" was released in Australia in January 1968, it went to #7. In some respects then, it can be said that Don Kirshner dropped the ball when it came to releasing Monkees singles. It seems possible that he could have at least released two more than he actually did. While it is possible that Don Kirshner could have released more Monkees singles than he did, it also seems possible that over time the quality in the songs he chose The Monkees had deteriorated. There can be no doubt that "Last Train to Clarksville" and "I'm a Believer" were top notch songs. That having been said, while it is still a good song, "A Little Bit Me, A Little Bit You" not only seems inferior to both "Last Train to Clarksville" and "I'm a Believer," but many of The Monkees' album cuts as well (and "All of Your Toys," for that matter). Indeed, an examination of Don Kirshner's last recording sessions for The Monkees cannot help but bring a chill up the spines of fans. The aforementioned recording session at which "Sugar Man" and other bubblegum confections were recorded was not an isolated incident in early 1967. At a January 26, 1967 recording session produced by Jeff Barry, the song "Poor Little Me," co-written by Jeff Barry and future bubblegum czar Andy Kim (the same team who would go onto write "Sugar, Sugar") was among those recorded. It seems possible that had Don Kirshner had remained The Monkees' music supervisor, he would have steered them away from the power pop sound originally designed by Boyce and Hart into a sound that was pure bubblegum. Here it must be noted that Don Kirshner would later be in charge of a project whose goal was to produce bubblegum music, The Archies. It must also be noted that most of The Archies' songs were produced by either Jeff Barry or Neil Goldberg, and many of the songs written by Jeff Barry and Andy Kim. Sadly, The Monkees' final album Changes (by which time Micky Dolenz and Davy Jones only remained in the band) would be produced by Jeff Barry, with three songs co-written by Jeff Barry and Andy Kim. Easily the least of The Monkees' original albums, Davy Jones would later complain it was "...Jeff Barry and Andy Kim doing an Andy Kim album." Changes would be as close to bubblegum as The Monkees would ever come. And it seems possible that had Don Kirshner remained in charge, we would have seen albums like it much earlier in The Monkees' career. It would seem that in the end, in the history of The Monkees, Don Kirshner is simultaneously a hero and a villain. He did get Bob Rafelson and Bert Schneider songs when they needed them. He did generate hits for The Monkees. At the same time, however, he kept The Monkees from playing their own instruments, did not allow them a say in the songs they would perform (much less which ones would be released as singles), and even released a single in violation of the rule that The Monkees could select the B-side. He may have also used reprehensible means to get a greater share of royalties from The Monkees songs for himself. The fact that Raybert Productions needed someone with the connections of Don Kirshner is unavoidable. The possibility that Don Kirshner may have actually hurt The Monkees more than he helped them seems likely. In the end. Don Kirshner was not something so simple as the silent movie serial villain Monkees fans often make him out to be, but something much more complex. Credit Where Credit Is Due Department: This article would not have been possible without a good deal of research and hence without the work of many others over the year. Much of the neccessary information for the article came from the books The Monkees Tale by Eric Lefcowitz, Monkeemania: The Story of The Monkees by Glenn A. Baker, I'm a Believer: My Life of Monkees , Music, and Madness by Micky Dolenz and Mark Bego, and Total Control: The Monkees Michael Nesmith Story by Randi L. Massingill. Also essential to researching this article were the web sites The Monkees Sessionography, The Monkees Film and TV Vault (ran by Aaron Handy III, who is possibly the only person I know who knows more about The Monkees than I do), and The Monkees Music Vault. Also indispensable were back issues of Billboard, Crawdaddy, Time, and The Columbia Missourian, as well as the backlog of Monkees songs released on Rhino Records. My thanks goes out to all. This is a great post, so well thought out and well-written. But, yeah, beyond excellent post! Good post BUT Kirshner himself said that he brought Sugar Sugar to the Monkees and they refused to play it. Ah, but as I point out in the post, Kirshner the evidence suggests that Krishner was wrong. Either his memory failed him or he was simply lying. Either way, "Sugar, Sugar" does not appear to have even been written at the time!